This year marks Luke Kratz’s fourth consecutive appearance on the Top 50 Advisors list, and it’s an achievement he puts a lot of stock in. 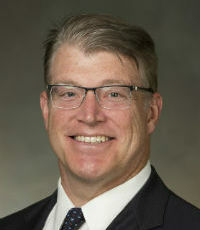 “I have been fortunate to have been selected by WPC as a Top 50 Advisor in each of the previous three years,” he says. “This is an incredible feat for any advisor, but for me, I have been fortunate to continually grow my business – assets, recurring revenue and recurring revenue per client – while shrinking the number of clients that I serve.” Over the past year, Kratz has disengaged unprofitable clients in order to concentrate on those that will drive business in 2018, bringing his current client count to 174.